Miners Cosmetics was one of the fabulous companies that took part in providing products for the Southampton Bloggers goody bags back in May and I thought I would show you what was sent through for each bag! Miners were so helpful in the lead up to the event, not only sending through new magazines but also four full size products for each person who attended. I'm only able to show you three products today as my mum has already whipped away the Tin'o'Tint in Watermelon as she had just run out of lip balm when this came through. 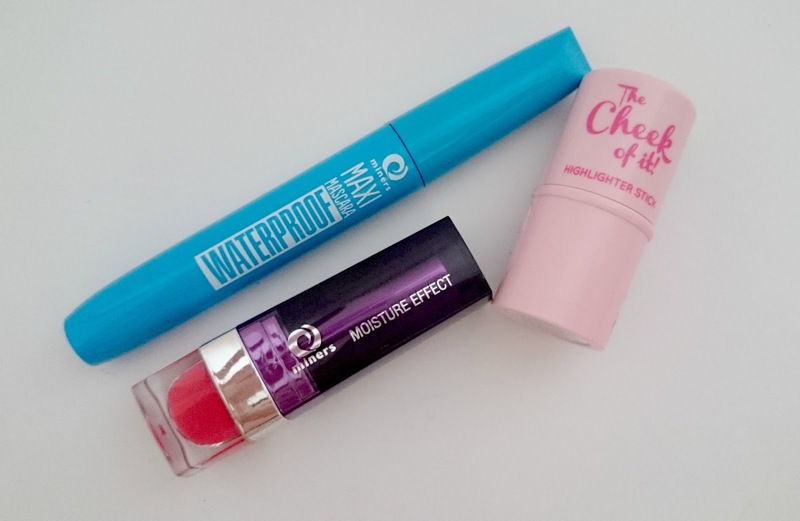 In each goody bag was a Maxi Mascara Waterproof, The Cheek Of It Stick, Tin'o'Tint and a lipstick. I have the lipstick in Kiss Me Quick which is from their moisture effect range and it's a vibrant, coral red. It leaves my lips feeling really moisturised with a burst of colour, it does need to be reapplied after a few hours but for a cheaper lipstick, that is what I was expecting. I really didn't get on with Maxi Mascara Waterproof but I know a few girls from the meet up have raved about this mascara. 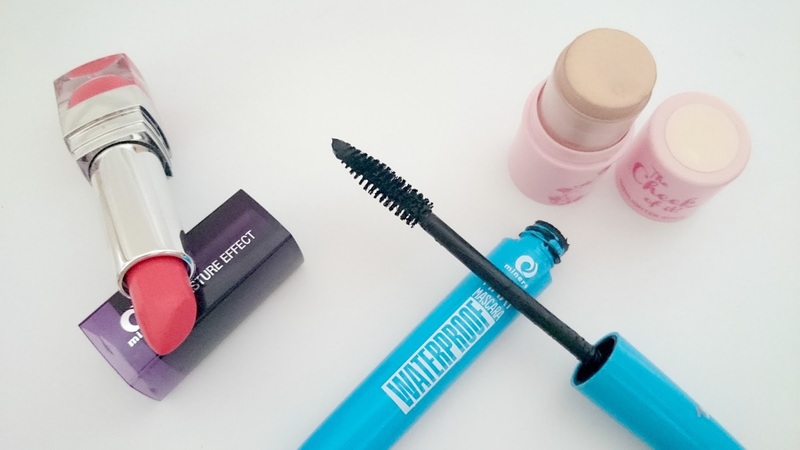 I don't know if it's because I don't use waterproof mascaras or because I prefer a separating wand but I've tucked this back away for the mean time. Lastly The Cheek Of It highlighter stick is my new best friend. I have this in a champagne colour and it's so handy to just sweep along the top of my cheek bones or along my brow bone. It leaves a subtle highlight which is perfect for day time and it's also buildable for that added shimmer of you're off out. Have you tried Miners Cosmetics before? What are your top picks? That lip colour looks lovely! These products look so appealing :) I love your blog and I have followed you with Bloglovin and GFC, if you ever get a chance to check out my blog I would be delighted thanks!